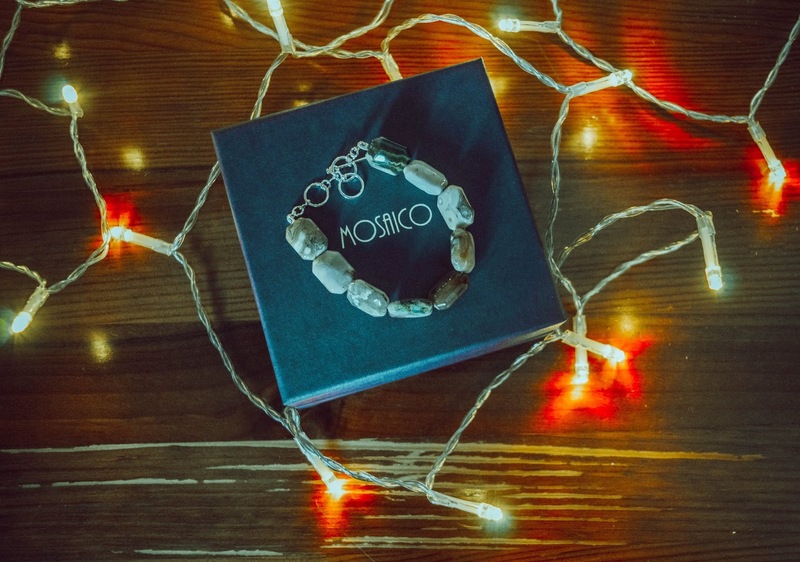 It's day 23 of #DollyDowsieChristmas and today I have a beautiful prize to offer one lucky reader, courtesy of the lovely people at Mosaico Jewellery. Mosaico Jewellery offer some of the most beautiful pieces, each piece being the perfect finishing touch to any outfit - or a show piece in itself. 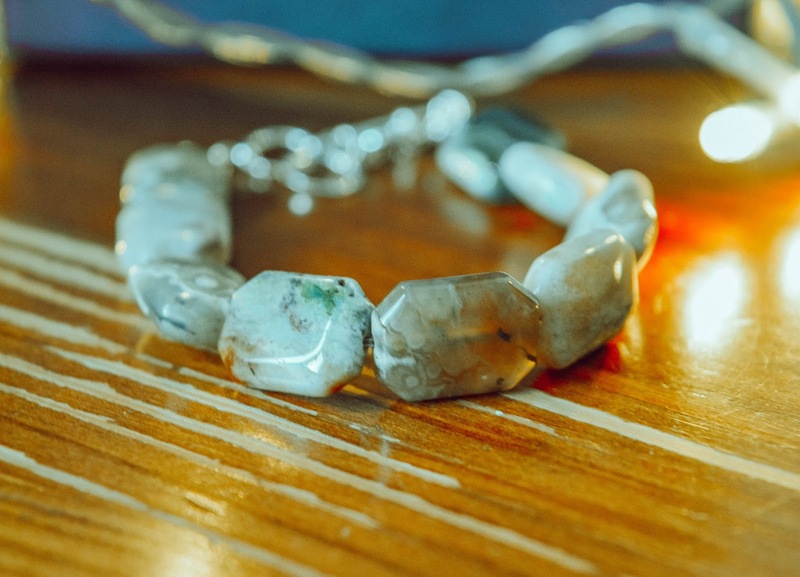 They have very kindly offered one of their stunning Tessa Bracelet's as a prize, which is made with 'Ocean Jasper', also known as the 'Atlantis Stone' - how lovely and unique is that?! This stone is sourced from only one place in the world - Madagascar, so it truly is a unique and I'd like to say quite 'rare' piece of jewellery. The natural markings of the stone make each Mosaico Jewellery bracelet something unique and quite special - no two will ever be the same. Pictured is my very own bracelet and I absolutely love it. I love how 'Earthy' it looks with it's colour tones and I really do love anything natural, what with being an outdoors lover and all! One winner will receive their very own unique Tessa Bracelet - a prize worth £45. To be in with a chance of winning simply enter via the Gleam widget below. Please read the terms and conditions before entering and best of luck to all who do! 1. This giveaway is open to residents of Ireland and the UK only. 2. This giveaway will run for two weeks, ending on December 7th at 11.59p.m. - a winner will then be chosen at random via the Gleam widget. 4. By entering you are giving permission for your details to be passed on to the person sending your prize. I would gift this to my mum, she loves anything unique and different so this is perfect! I'd love to win this for my older daughter. It is beautiful thank you! I'd treat my sister... She deserves something nice. My mum, green is her favourite colour and she would absolutely love it. For my daughter I think. I would love to win this for my daughter. She loves jewelry! And this is beautiful. My daughter-in-law loves crystals and gemstones and she would love this for a Christmas treat. I would love to win this for my best friend Sue who has a jewellery fetish! I would like to win it for my mum so I can borrow it :D then it will be worn to its true potential as its stunning. I would love to win this for my 82 year old neighbour Shirley....she is always so well turned put and the most glamorous 80 year old that i know! I'd love it for my daughter, she's only 15 but has a very keen eye for stylish items! I would love to win this for my partner as a nice surprise.